Nissan plans $160 million supplier park in Tenn.
Nissan Motor Corp. plans to add more than 1,000 new supplier jobs at its Tennessee operations as part of a $160 million supplier park project. Nissan will build a 1.5 million-square-foot integrated logistics center on the company's Smyrna, Tenn., campus. The center will be used for multiple purposes, such as inbound production parts and outbound returnable containers, a statement said. The project will be built in phases starting later this year, with completion anticipated in late 2016. The new hires will be employed by suppliers, a Nissan spokesman said. "Today marks an exciting new chapter in our more than 31-year partnership with the State of Tennessee as we continue our localization and investment efforts in the United States," Jose Munoz, executive vice president of Nissan, said in a statement Tuesday. "This project is a key component to the long-term sustainability of our U.S. business as we close in on a goal of 10 percent U.S. market share." The Smyrna plant, which opened in 1983, already employs more than 8,400 workers, Nissan said. Nissan produces 85 percent of its U.S.-sold vehicles in North America. 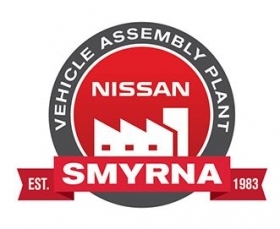 The Smyrna plant built more than 648,000 vehicles last year, making it the highest producing automotive assembly plant in North America. Nissan currently builds the Altima and Maxima sedans, Leaf EV, Rogue crossover, Pathfinder SUV and Infiniti QX60 luxury crossover at the factory. Production of the redesigned 2016 Maxima will begin in Smyrna later this year.